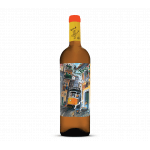 Vidigal Wines is the maker of this Porta 6 Branco , a white wine from Lisbon that contains sauvignon blanc, chardonnay and arinto grapes. 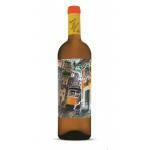 The Porta 6 Branco is the ideal white to combine with pasta and fish. 4,3 of 5 points is the average score of this white according to Uvinum users. What's the evaluation of the Porta 6 Branco? What are the opinions of other vintages or volumes of Porta 6 Branco?